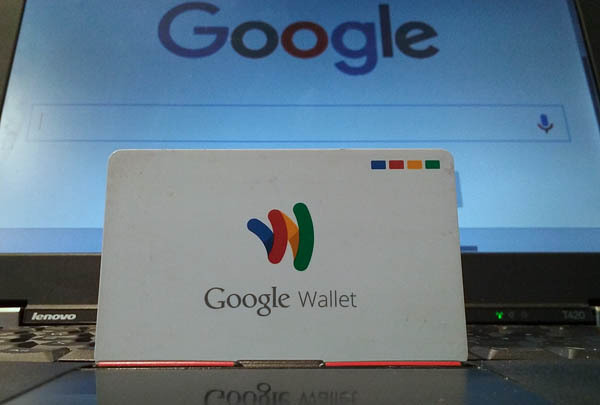 Google recently began notifying Google Wallet Card users that the Google-branded MasterCard debit card tied to the company’s Google Wallet mobile payments service would be phased out in the coming months. If you have a bank account or other debit card linked to your Google Wallet Card, you won’t be able to add money to your Wallet balance after May 1, 2016. However, you’ll still be able to send money to other Google Wallet users using the linked account and you’ll still be able to receive money from other users. Wallet Card users will be able to continue making purchases with the debit card until June 30, 2016, after which the card will just stop working. If you have money remaining in your Wallet balance after May 1, 2016, Google says you can let it rot keep it there, send it to other Wallet users or give up transfer it to a linked bank account for free. If Google’s sudden shift in payment platform strategies doesn’t make you mad enough to just go buy an iPhone and switch to Apple Pay, the company is recommending two alternatives to the Google Wallet Card: a debit card being offered by American Express and one being offered by The Bancorp Bank of Wilmington, Del. For a limited time, both companies are offering Google Wallet Card refugees a $20 bonus for signing up. In order to qualify for the $20 bonuses, you’ll need to sign up for each service using a link provided by Google and use the same email address used for your Google Wallet Card account. Getting an American Express Serve card is free if ordering the card online (up to $3.95 at retail locations), but the card comes with a $5.95 monthly fee (unless you live in New York, Texas or Vermont). Direct deposit, adding money from a bank account and depositing checks via the card’s Android or iOS mobile app are all free, while loading cash at a participating retailer costs up to $3.95 per transaction. AmEx Serve’s most attractive feature is its offer of 1 percent cash back on all purchases, but taking the $5.95 monthly fee into account means you’ll effectively need to load and spend $595 per month just to break even. The card also comes with a free online bill-paying service. Serve offers free withdrawals at more than 24,000 MoneyPass ATM locations, but using a non-MoneyPass ATM incurs a $2.50 fee. In order to receive the $20 promotional credit from American Express Serve, Google Wallet Card refugees will need to sign up for direct deposit and receive at least three deposits of $500 or more between March 31 and Oct. 31, 2016. Like the Google Wallet Card, the Serve card is a standard debit card with a magnetic stripe and no embedded microchip. “Simple” is a Visa Debit card issued by The Bancorp Bank of Wilmington, Del., which comes with no monthly fee. In fact, Simple doesn’t currently charge any fees at all. As with AmEx’s Serve, Simple customers have access to a free bill-paying service and can make check deposits using Simple’s Android or iOS mobile app. Simple also offers a variety of free budgeting and reporting tools and allows customers to transfer money to other Simple users for free. Simple card users can’t load cash onto the card in a store, but the card can be loaded for free using a bank account and ATM withdrawals are free at more than 55,000 ATMs in the STAR network. Simple is a “chip card” with an EMV microchip embedded in the card for increased security when making point-of-sale purchases at retailers equipped with newer, chip-enabled payment processing terminals. The Simple card also has a magnetic stripe for backward compatibility with older payment card terminals. Simple is also offering a $20 credit to Google Wallet Card refugees and the company’s website makes no mention of any minimum deposit being required in order to qualify for the bonus. The Google Wallet Card was great while it lasted, but it’s not the first Google product to fall by the wayside and it certainly won’t be the last. While AmEx Serve’s 1 percent cash-back feature will undoubtedly appeal to many people, Simple’s lack of fees and advanced security technology are features more likely to appeal to most Google Wallet Card early adopters. Factor in the plethora of advanced budgeting and money-management tools Simple provides and American Express Serve seems somewhat antiquated by comparison. Which Google Wallet Card alternative looks better to you? Let me know in the comments below. Volunteering to guard his son's California elementary school is the most action former Marine Private First Class Craig Pusley has ever seen.